Minimal, sleek and sharp with an industrial edge, two economical rural pavilions frame northern idyllic pastoral views through an outdoor room under a simple long roof. 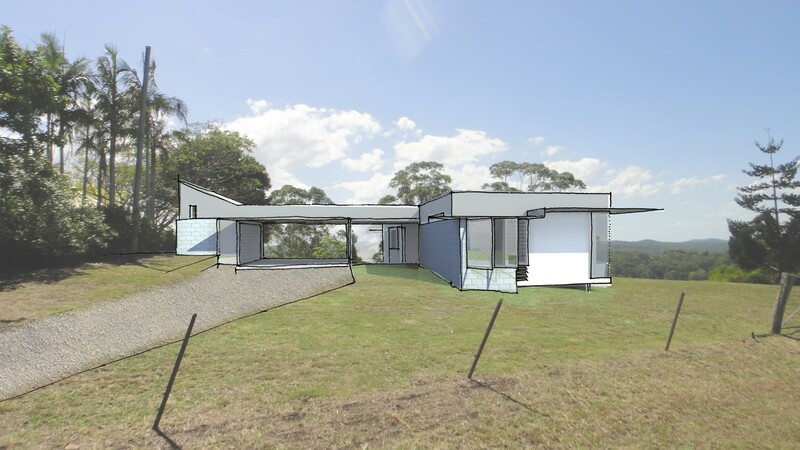 The Dulong House sits high on a northern ridge with a stunning outlook over the Sunshine Coast towards the east, as well as the rolling green hills of the Sunshine Coast hinterland towards the north and west. It is due for completion in 2015. 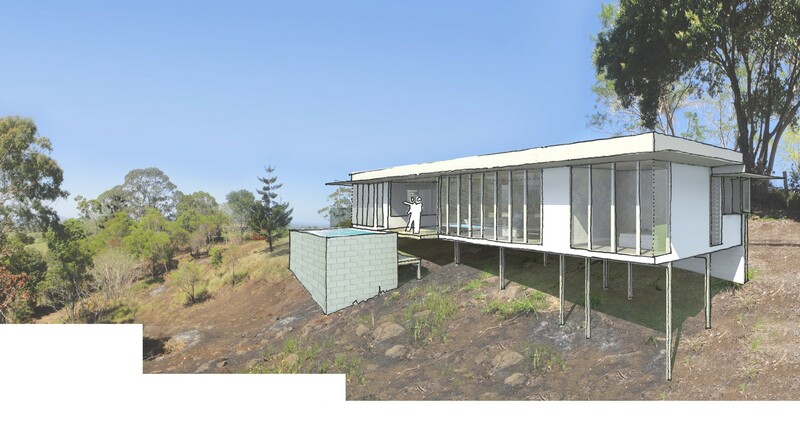 Beneath the shade of a ceiling plane just under three metres high, the platform foundation of Dulong house hovers above the natural topography of the site, with floor-to-ceiling northern glazing shaded by a 1200mm wide aluminium folded awning. Fairfaced blockwork, natural flat zincalume and fibre cement sheet cladding details emphasise the ‘flush and sharp’ character of the space, whilst the clean lines emphasise the simplicity of the plan. 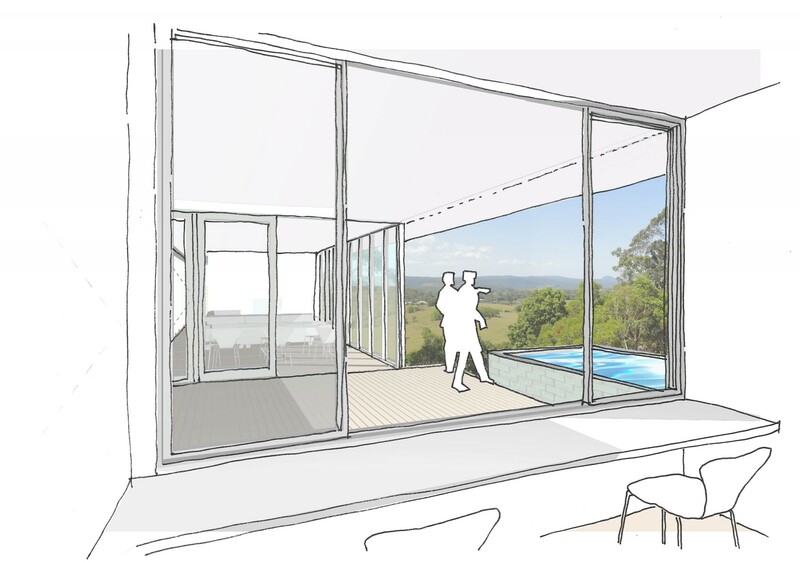 The plan is constructed by two pavilions joined by an outdoor room aka breezeway space to connect the separate zones and frame an expansive southern view. The colour palette of the materials used consist of dark tones of matt black, silver and concrete combined with warm highlights of blonde blackbutt flooring and ceilings. This contrast provides a natural palette as a backdrop for a simple, robust and modern lifestyle in the Sunshine Coast hinterland.